In the summer of 1970, the Hall of Justice became center stage for what was at the time, America's longest murder trial. The Manson family held their vigils throughout the 9 1/2 month trial, on the corner of Temple and Broadway. A little over a year later, on the morning of Wednesday October 20, 1971, family associate Kenneth Como hack-sawed his way out of his 13th floor jail cell, using a makeshift rope, he lowered himself to the 8th floor . 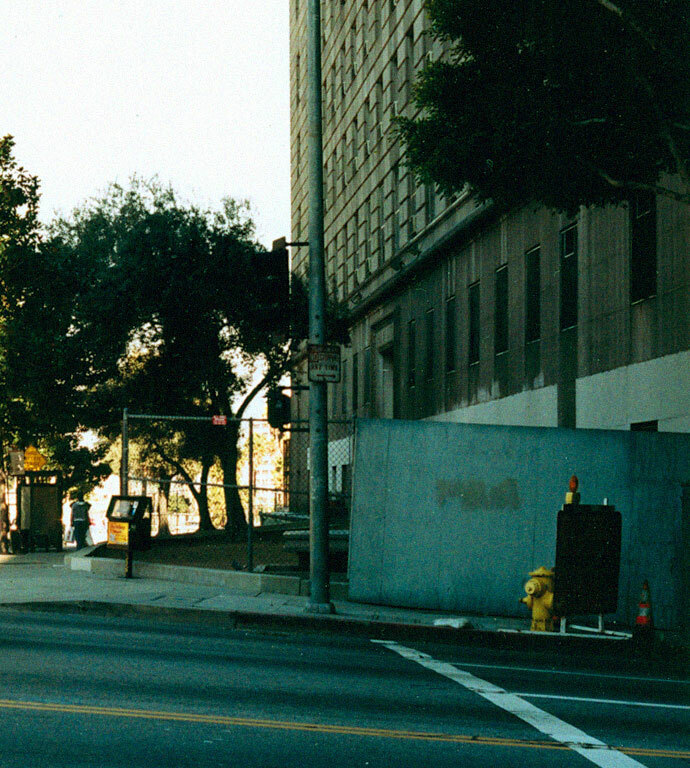 Como kicked in the window of the courtroom that Manson and the girls were tried and convicted in, he took the stairs down to the street, and with help from some of the family girls, escaped the Hall of Justice, only to be caught several hours later.